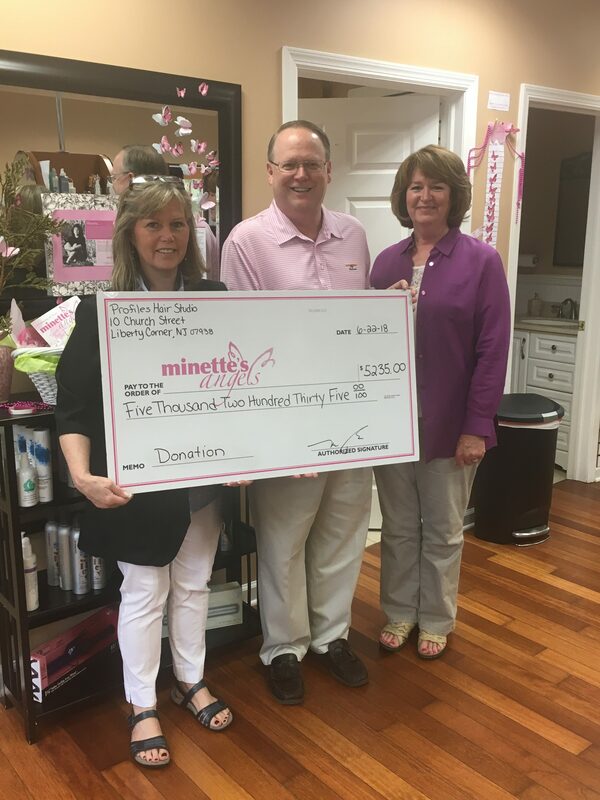 Mary Pawlowski, Ken McKenna and Eileen. 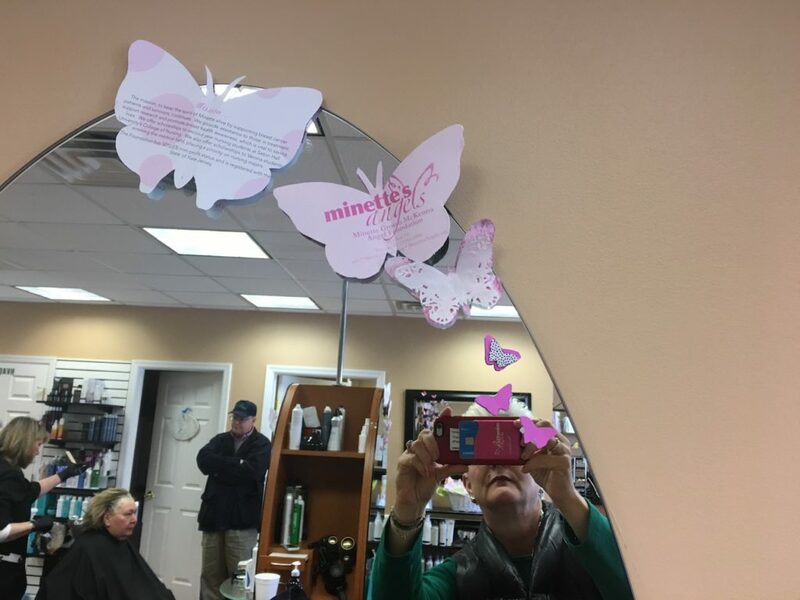 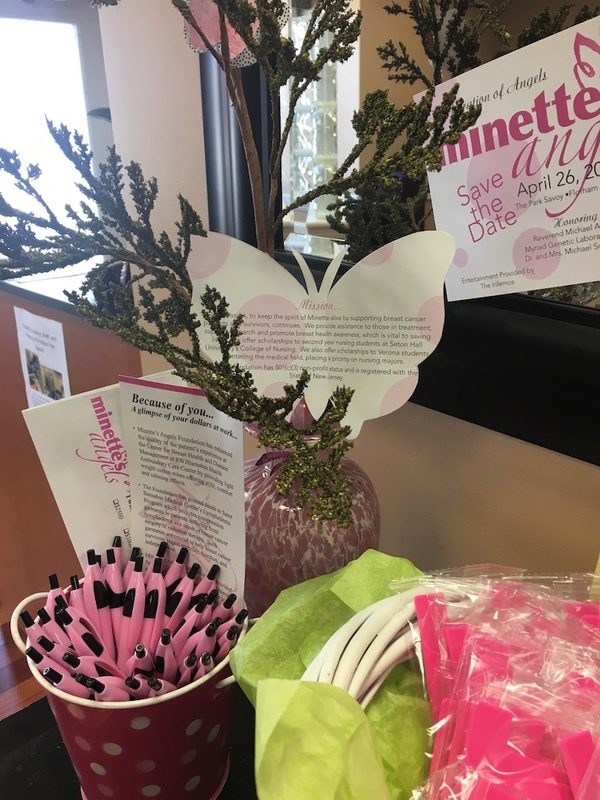 Butterflies and hope abound at Profiles Hair Studio in Liberty Corner, NJ. 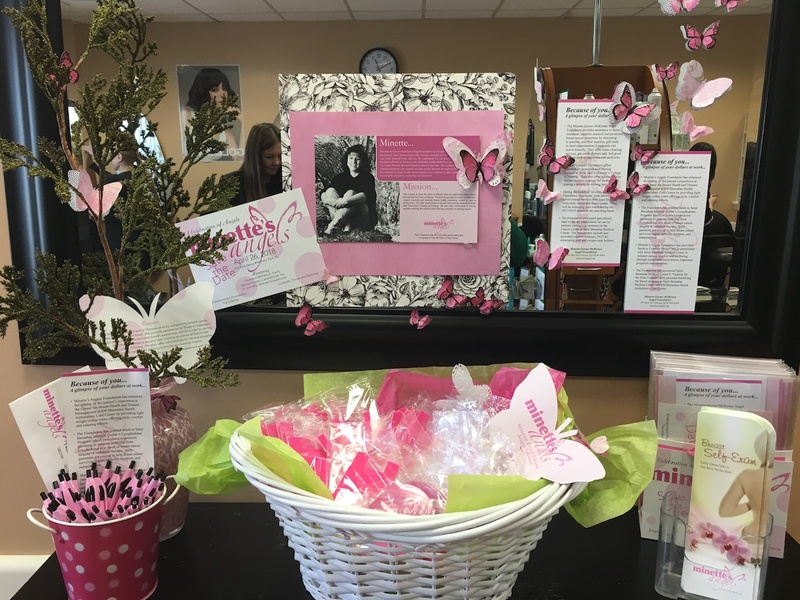 Mary Pawlowski, owner of, and stylist at, Profiles has embraced raising awareness for breast cancer and has been a crusader, honoring the memory of her dear friend, Ruth Siksnius, for over 15 years. 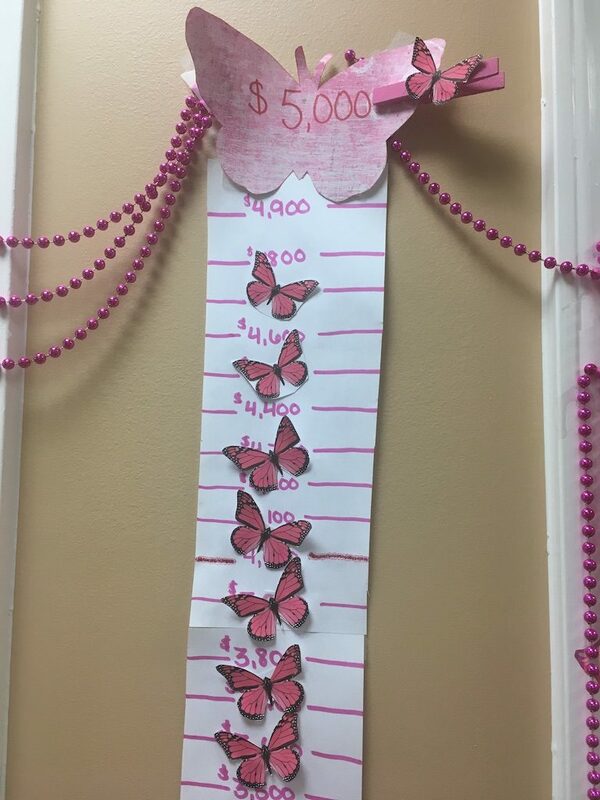 Minette’s Angels is grateful for Mary and her amazing team for raising over $5,000 in support of our Mission.